This class is a perfect course for those looking to add night photographs to their portfolio, or for those just getting started with night photography and wanting to head out with likeminded individuals for fun and education in one of California's best spots for night photography. We won't just photograph the stars either. What is a trip to Joshua Tree National Park without some time spent photographing those unique trees that gave the park its name! 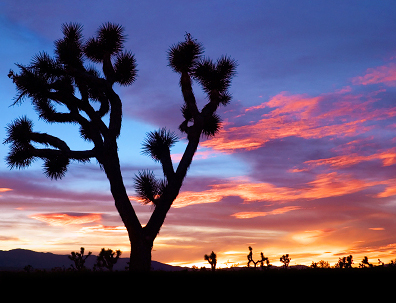 We'll spend sunrise and sunsets in the park photographing some of these iconic trees and the cacti gardens that make this desert landscape unlike anywhere else in California. This workshop is a perfect spot for those photographers looking to work on composition and working on creating unique and original imagery. 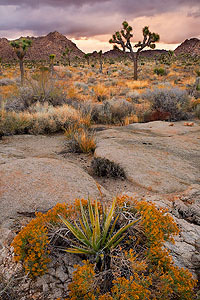 Joshua Tree National Park lacks many of the giant icons that locations like Yosemite or Grand Tetons National Park have. Working with professional instructors will help you make sense of the landscape and begin to understand how to make unique and effective images in this truly bizarre and wonderful terrain. If you're just a beginner, no problem, this workshop will provide you with beginning instruction in landscape photography, filter use, and of course night photography. What a great way to get acclimated with a wide variety of techniques and situations than to spend two intensive days in the desert with The Aperture Academy. 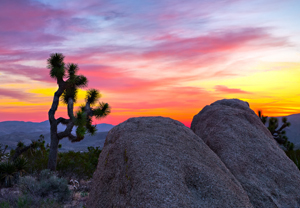 Intermediate or Beginner there's something for everyone in Joshua Tree National Park.